This seems to be a banner year for me in terms of awards. 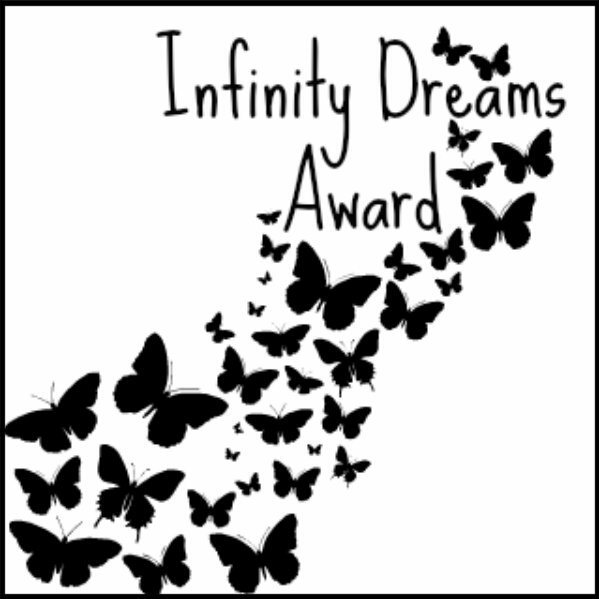 The “Infinity Dream Award”, was awards to me by https://thelimitlessimagination.wordpress.com/ an I am very grateful. According to the rules I simply need to list 7 dreams and then nominate 7 blogs. Be more productive. Despite this blog, I’m pretty lazy and I’m just getting too old to continue this behavior. Hopefully, I’ll be able to become more productive sooner, rather than later. Learn web design. Connected with the previous dream, I hope to become a better web designer. However, I need to hone my skills better. Improve my blog. My blog has been doing very well, but I look to improve my blog everyday. So far my blog has been getting more hits, each year so I may accomplish this dream. Write a comic, anime or manga. Since I was a child this has been, my dream. However, I still have this just dream, but have done NOTHING to achieve it. To have a career, that is personally satisfying, fun and allows me and my family to be financially secure. Get back to drawing and increase my drawing ability. I can relate so much to this post! I too have dreams of pursuing a career in an enjoyable and creative setting, and also feel like I need to start being much more productive. Also, thank you for nominating me!